Double scoops: Charles Masembe of the College of Natural Sciences (CoNAS), Makerere University has scooped the highly competitive Wellcome Trust Intermediate Fellowship in Public Health and Tropical Medicine; and has recently been promoted to Associate Professor (Molecular Genetics and Evolution). Charles is a veterinarian and molecular epidemiologist. 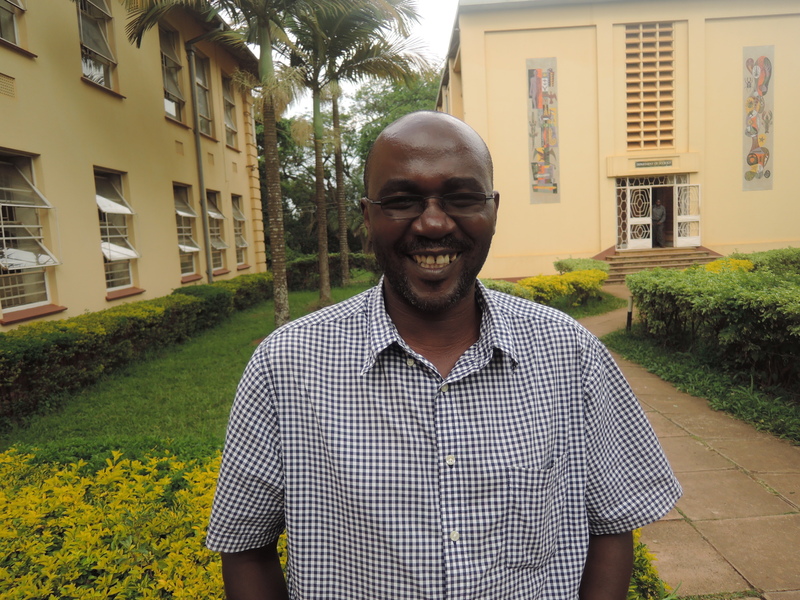 Through the RUFORUM research networking and capacity building thrust, he has collaborated with several scientists in animal health and agriculture related disciplines. Congratulations to Charles for his recent promotion to the rank of Associate Professor (Molecular Genetics and Evolution). He has learned the art of conducting collaborative scientific projects and mentoring of students and colleagues. He continues to conduct research in molecular genetics and evolution of animal diseases. 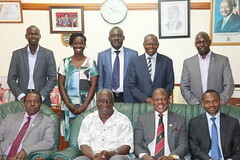 Charles attributes this success to the platform that RUFORUM has availed to him, and he encourages other scientists to utilise the same for greater achievements. Together with scientists at the Centre for Virus Research, University of Glasgow in United Kingdom, he is now a Wellcome Trust Fellow in on an Intermediate Fellowship in Public Health and Tropical Medicine. This fellowship will focus on the Transmission dynamics of African swine fever in an endemic setting at the livestock-wildlife interface in Uganda. The team will investigate the role of soft ticks in the spread and maintenance of African swine fever in the domestic cycle and wild cycle. They will determine the molecular genetic and evolutionary characteristics of ASF virus in domestic pigs, warthogs, bushpigs and ticks at the livestock-wildlife interface to reveal transmission networks. The results will directly contribute to the development of effective control strategies for this devastating disease that is impeding the development of the pig industry in Uganda and possibly beyond. Charles will strengthen a dynamic and vibrant research team that will have the potential to investigate a variety of animal disease for improving livelihoods in the region and beyond. To read more about Charles, Please click here.